Former Caldwell County standout Eli Pepper has his record. Pepper grabbed his 841st rebound Wednesday night for Lipscomb, making him the school’s all-time NCAA rebounding leader. Pepper needed just one board entering the game against North Florida to break the record. He went on to post his second-straight double-double, scoring 20 points and grabbing 11 rebounds in the Bisons’ 81-66 ASUN Conference victory. Pepper, a 6-8 senior forward, has scored 776 career points and grabbed 851 rebounds in his four seasons as a starter for the Nashville school. 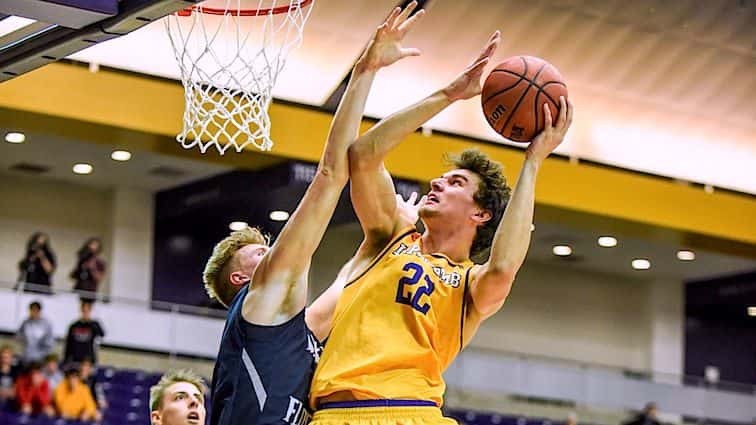 Lipscomb (11-4 overall, 2-0 conference) is the defending ASUN champion, dropping a first round decision to North Carolina last year in the NCAA Tournament. Pepper is averaging 7.8 points a game and a team-high 7.0 rebounds a contest this season for the Bisons. His 20 points on Wednesday were just two shy of his career high. In his last two games, Pepper has connected on 6 of 9 3-point attempts. With Pepper’s record now in hand, his Lipscomb classmate Garrison Mathews is 17 points away from becoming Lipscomb’s all-time leading scorer in the NCAA era. Lipscomb plays at home again on Saturday, hosting Stetson at 4 p.m.